Are There Actual Alternatives For Acne.org Products? On the spot clumps and I was annoyed with the size it comes in. Dan's BP clumped like crazy with my moisturizers. Nothing seemed to mix well with it. 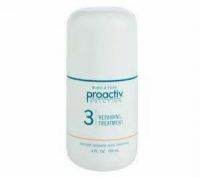 I like proactiv's repair lotion as my BP. Doesn't clump at all. If your mal has a kiosk or proactiv vending machine, you can get the repair lotion separately. Walmart's equate has a knockoff of it that is sold separately for $4, but it's too runny for my liking. Target has a proactiv knockoff as well, but the parts aren't sold separately. works on pimples hard to buy separately I buy the repairing lotion separately and use it for my BP step of the regimen. It's the only thing that hasn't clumped with my moisturizer. Last time I read the product recommendations for the regimen, it said gels didn't cause clumping, but every gel causes it for me. Even Dan's BP clumped. Definitely don't use it without moisturizing afterward, though. The proactiv instructions say to do that, but if you do that, your skin might be really dry. Yea. That's the question. At the time, I had a tube of acne.org BP and it made those little white clumps that rub off (and it wasn't skin). So, I was wondering if that might be because some ingredient in my moisturizer wasn't compatible with the BP. I'm assuming, the acne.org moisturizer would be more compatible to prevent clumping. So, those little british girls are probably the reason I came very close to buying a tutu… for my niece of course! Must've been a pizza hut sale or something. I'm not hating though. I'm hungry enough to actually enjoy Pizza Hut right now. cycle of insomnia: can't sleep, super tired during day, sleep all day, want to sleep at night, can't sleep at night. oy. Thinking of ways to trick mom's bf into using gum/patches because this smoking in the house thing is not the business. Do not want! !